Please check out http://www.TheGoldenGaysNYC.com for updates on where I’ll be performing next. For Bea only gigs, I will post here. See you in 2019! Please check out http://www.TheGoldenGaysNYC.com/upcoming-shows for all our tour dates and the ticket links. We’ll see you in Pittsburgh PA, Cumberland MD, Baltimore MD, New Hope PA and then Asbury Park NJ. Thank YULE for being a friend! Golden Girls Trivia – Gay Pride Edition! Join hilarious drag trio, The Golden Gays NYC in their legendary Golden Girls Trivia Show, this time for Gay Pride on Saturday June 23rd at 3:30pm. Four rounds of trivia, 3 for Golden Girls Fanatics and one round, for well, everyone else. Study up on all those fey, fabulous and Lebanese moments from the show, and also practice your algebra. Join Jason B. Schmidt’s great Aunt Beatrice Arthur, Astral Dame as she discusses the topic of the day: Internet Trolls. Oh. Boy. Special appearances by Very Gerry, The Hot Mailman and Penny the Poodle. Picture it: Maryland, April 2018. In a series of hilarious hot flashbacks, Dorothy, Blanche and Rose find themselves singing and dancing their way through the Golden Girls’ most iconic moments; all the while in search for their next #TokenSophia. Will it be you?! The Golden Gays NYC are a New York City-based drag trio. The show stars Jason B. Schmidt as Dorothy, Andy Crosten as Blanche, and Gerry Mastrolia as Rose. This Maryland engagement of HOT FLASHBACKS! A GOLDEN GIRLS REVUE plays Baltimore for one night, followed by Cumberland Maryland for two nights and is part of a national tour, with stops in New York City, Asbury Park, NJ and Pittsburgh, PA.
VIP – Premium front reserved seating: Takeaway Golden Gays NYC “Swag Bundle” including Golden Gays NYC merchandise and Golden Girls memorabilia. Official #TokenSophia photo op after the show with the Golden Gays starring YOU as our #TokenSophia. We provide the wig, the glasses, and the purse. You provide the attitude! The Golden Gays NYC come to Times Square! Hilarious drag trio, The Golden Gays NYC bring their legendary Golden Girls Trivia Show, which sold out previous engagements at the famed Rue La Rue Cafe, downtown to the Broadway Comedy Club in Times Square. 53 Above and Broadway Comedy club present the show on 53rd and 8th Ave on Sunday December 17th at 5pm. Tickets from $25-$35. Come find out who will he their #TokenSophia. Prizes are tickets from Off-Broadway shows! A special prize for the LEAST KNOWLEDGEABLE FAN TOO! 11/19 – The Golden Gays Trivia (2 seatings) 5pm & 7:30pm – Tickets on sale now! Our first #BroadwayBingoWithBea was a huge success! Thanks to The QSPOT, LGBT Community Center for hosting. We had to add extra chairs and tables! We gave away some fabulous prizes, theatre tickets to Nena Productions & Algonquin Theatre, brunch at The Starving Artist, a mini-photo shoot with photographer Carlo Anthony, and a LOT of random compact discs. Hash the tag #PhilCollins. We will be back in the coming months, so stay tuned to QSPOT.org. 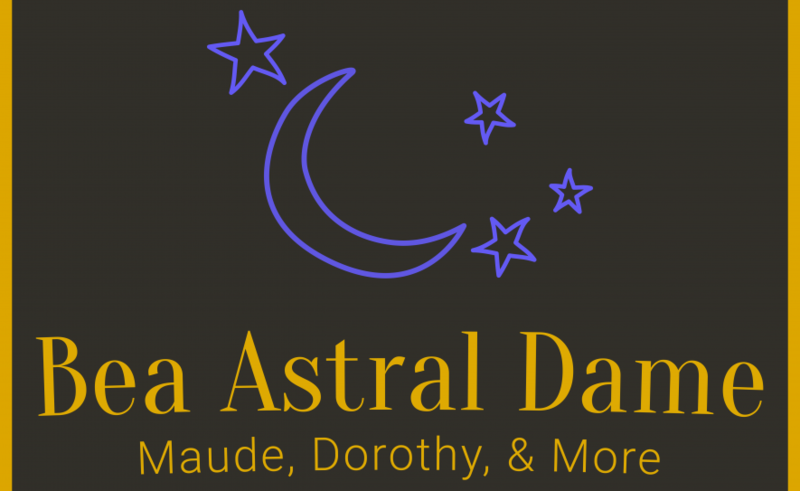 Fun Broadway playlists, trivia and performances by Bea Arthur: Astral Dame – all benefitting The QSPOT. Rocky Horror write up in Asbury Park Sun!